VH-BOS a little dusty, at her private strip. My thanks to Tony & Trish for their great hospitality ! 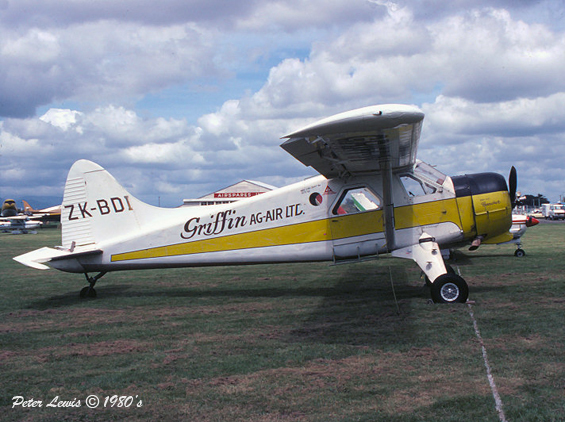 ZK-BDI when with Griffin Ag-Air Ltd.
ZK-CPZ with new titles, at Napier. 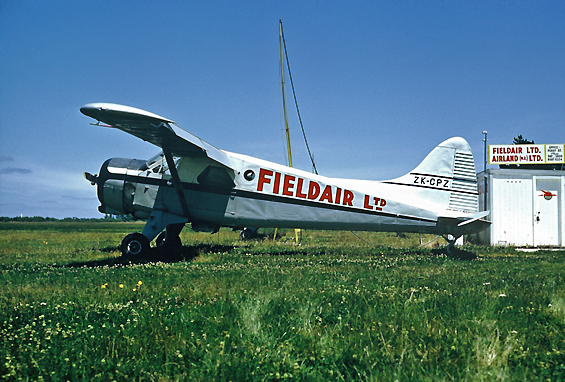 ZK-CPZ with FIELDAIR at Wairoa. 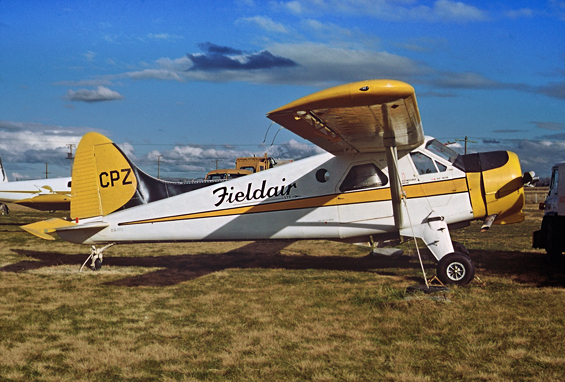 ZK-CPZ of Fieldair at Masterton. VH-RAS at Parafield, South Australia. 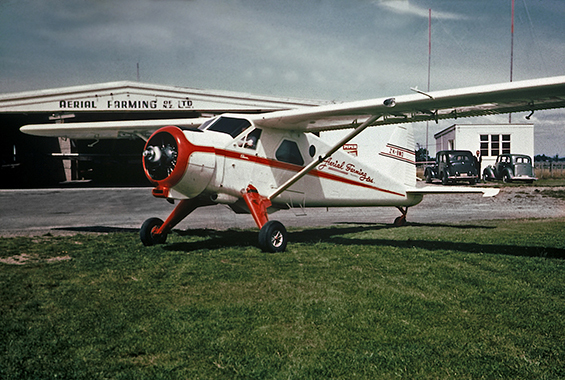 ZK-BMO at Fielding with Bob Divehall pilot. ZK-BDI marked No:2 at Hamilton. • No regn. 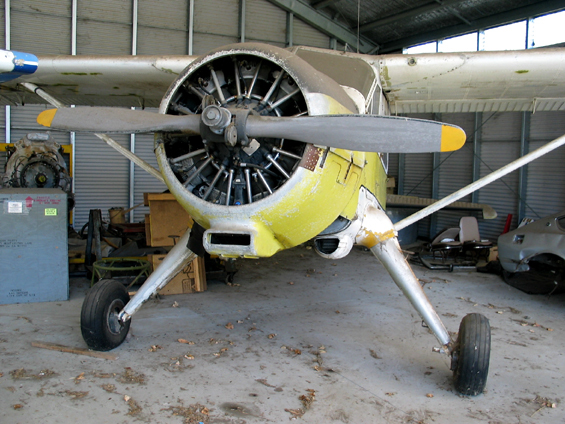 Imported by de Havilland (New Zealand) Ltd., Wellington. 14-Jul-1953. 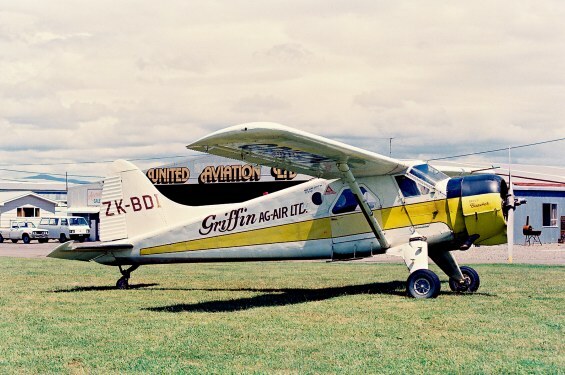 • ZK-BDI James Aviation Ltd., Hamilton, NZ. "No.2" 03-Sep 1953. 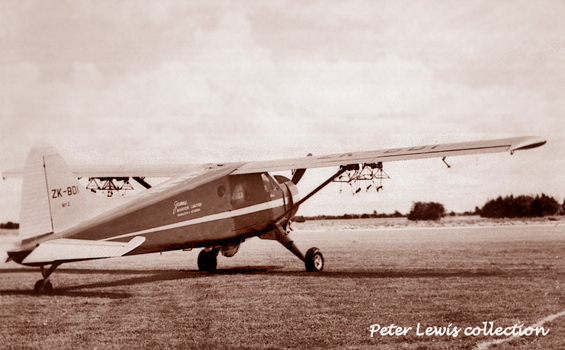 First flight in New Zealand 02-Oct-1953. Note: Flown by Hap Neville (1953/1954), Red McNally (1954/1955). Accident: Near Wairaki Airstrip. 15-Oct-1956. 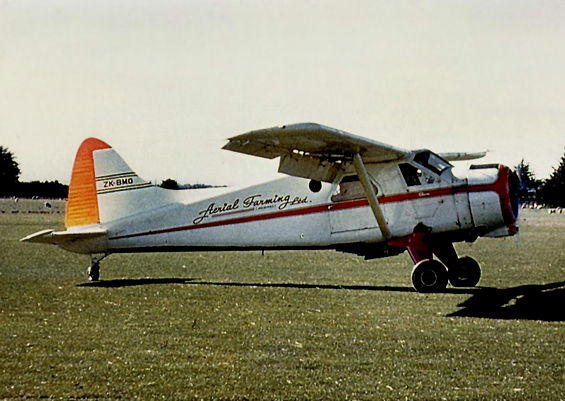 As ZK-BDI. Pilot P. McNab. Other details unknown. 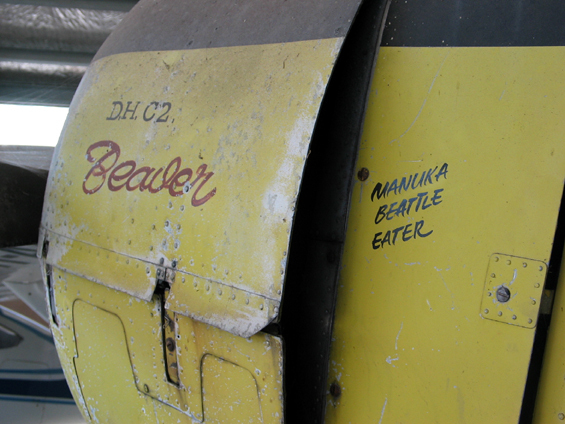 Note: Flown by Peter McNab until badly damaged by gale force winds at Taupo, 12-May-1958. 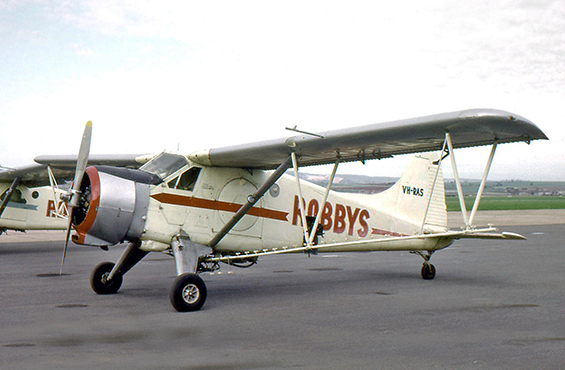 • ZK-BDI Canx after May-1958. 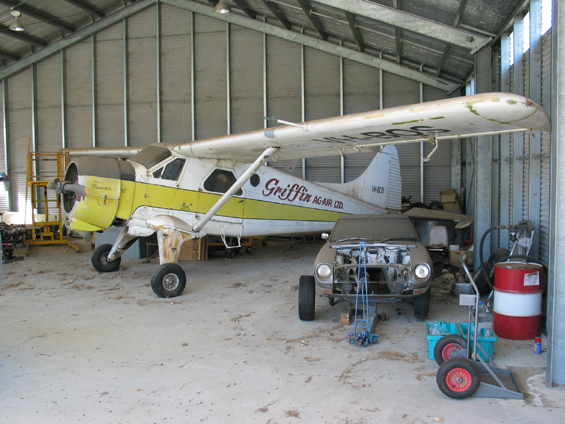 Note: Wreck purchased by Aerial Farming (NZ) Ltd., Palmerston North, NZ. Rebuilt by Aerial Farming with new registration. • ZK-BMO Aerial Farming (New Zealand) Ltd., Palmerston North, NZ. Re-regd 12-Dec-1958. Test flown 19-Dec-1958. Reported Accident: Crashed at Taoro. 21-Dec-1959. Crashed into hillside and reportedly burnt out however this does not seem to fit subsequent notes. Note: Flown by Bob Divehall until Jan-1960 then Bruce McMillan until accident at Niho Niho. Accident: Niho Niho, Ohura 02-Sep-1960. Crashed and details currently unknown. • ZK-BMO Canx 21-Mar-1961. Wreck exported to Australia. 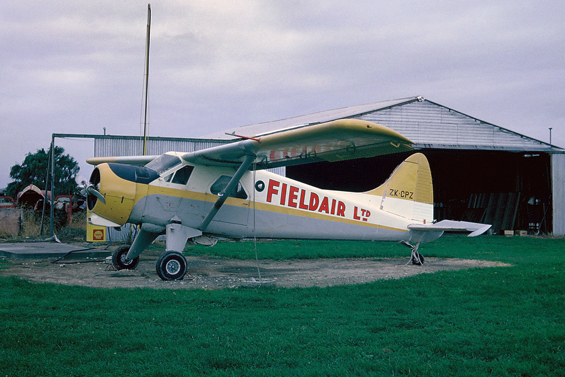 • VH-AAW Aerial Agriculture Ltd., Bankstown, NSW. Regd 15-Aug-1961. Canx 27-Nov-1962. • VH-RAS Robby’s Aircraft Pty., Ltd., Parafield, SA. Regd 22-Nov-1962. Canx 25-Mar-1966. 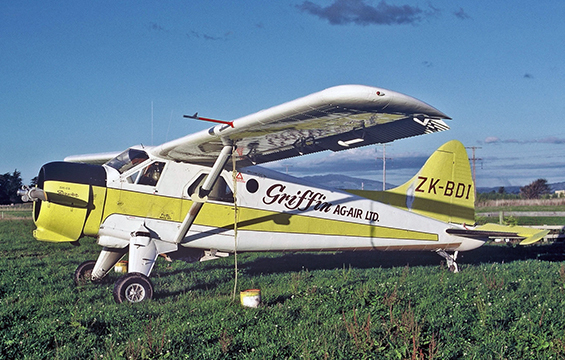 • ZK-CPZ Fieldair Ltd., Gisborne, NZ. First flight back in NZ 15-Mar-1966. Regd 05 Apr-1966. Note: Flown by Bob Cranston, Harley Cadwallader, Neville Worsley and Jim Frogley. 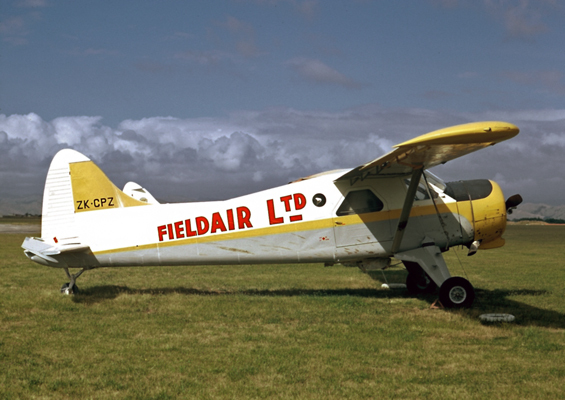 • ZK-CPZ Fieldair Holdings (Central) Ltd., Palmerston North, NZ. Regd 18-Nov-1980. 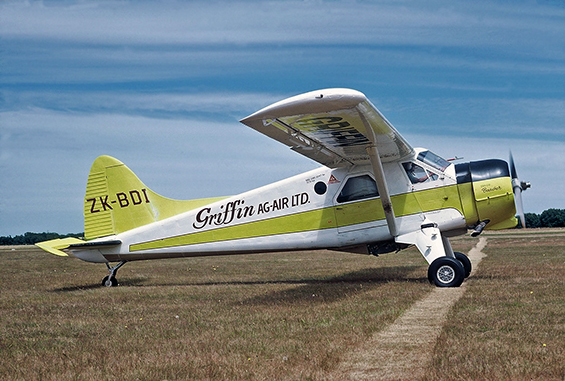 • ZK-BDI Griffin Ag-Air / Kairanga Aviation Ltd., Palmerston North, NZ. Regd 16-Sep-1983. • ZK-BDI Parakai Parachute Centre, Balmoral, NZ. Regd. 08-Feb-1988. 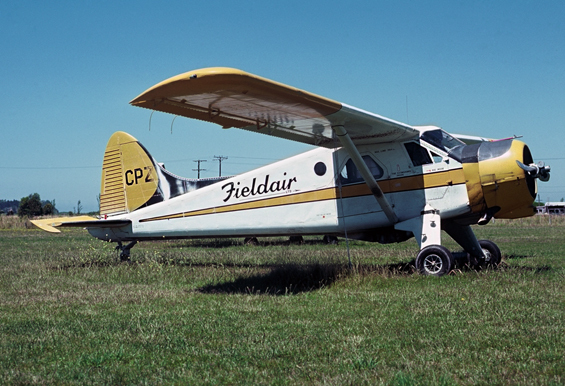 • ZK-BDI P. Roberts, (Fieldair) Palmerston North, NZ. Regd. 29-Sep-1990. Canx 20-Nov-1990. 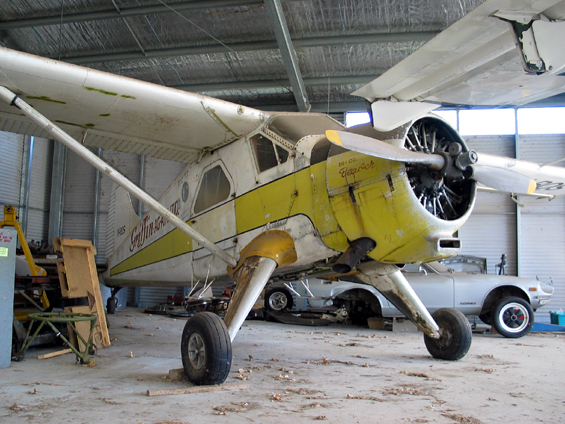 • VH-BOS Altair Aviation Ltd., (P. Roberts) Bungador, VIC. Regd 10-Jan-1991. Re-regd 26-Sep-2005 under CASP 47. Note: CASP 47 was a 2005 requirement by Australian Authorities for all aircraft to show registration details of both owner and where appropriate a different operator. 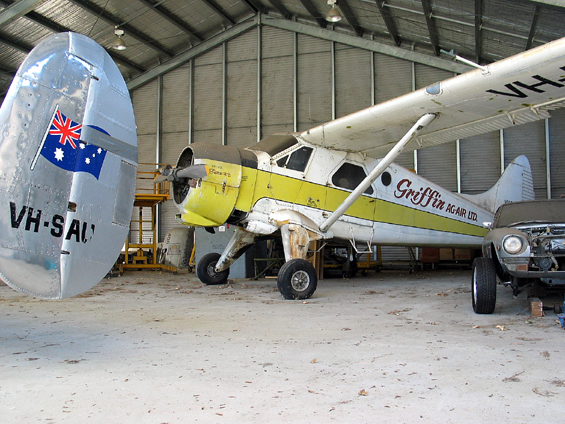 Note: Still in Griffin Ag Air colours with VH-BOS regn in May-2005. Additional details provided by Graeme Mills.